Great investment opportunity for Investors or anyone looking to open their own business.. Both Real Estate and business sold together. Seller is only taking his personal property with him. SOLD as is. 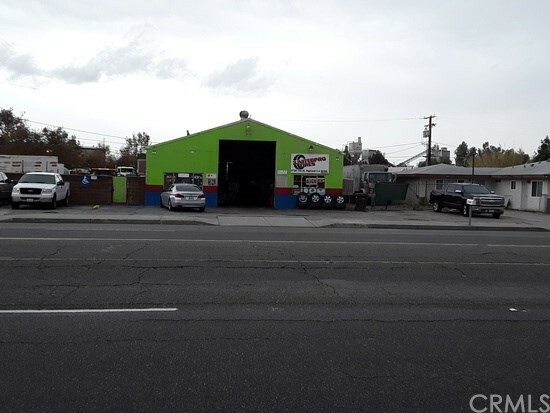 This Multi-use currently an auto repair/ tire shop (2400 SF) sale also includes a Vacant Land (6700 SF) and a (1312 SF) SFR built in 1962 with 3 bedrooms and 1 bath. Business has great clientele and income. Situated on a busy street with plenty exposure and possibilities. Prime value add opportunity with significant rental income or future development potential for developer. This is definitely an amazing opportunity! A great deal for its location and the future plans of Highland.. All for $1,100,000.00.. A total lot size of 22,925 sqft.